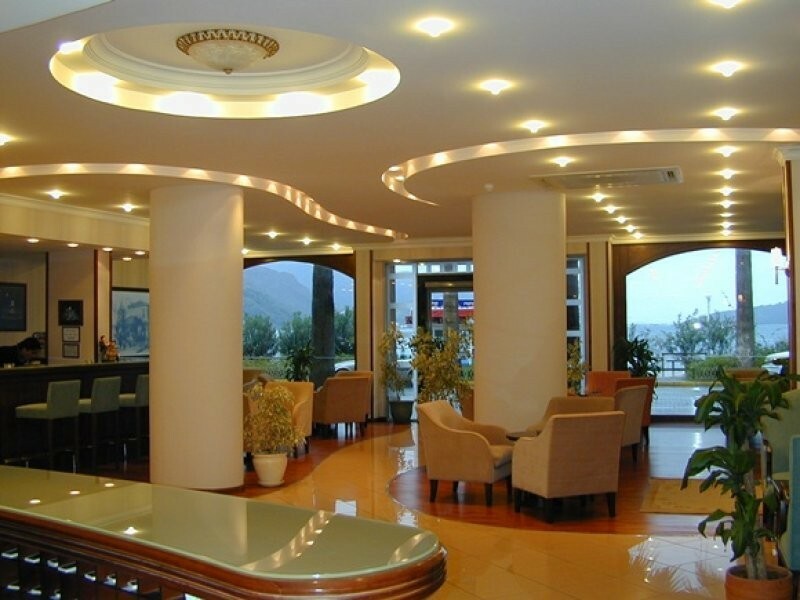 Club Candan Hotel Marmaris in the central part of the town, attracts hundreds of tourists from all of the world. Because of its numerous perks and commodities, Candan is one of the hottest vacation spots in Marmaris. 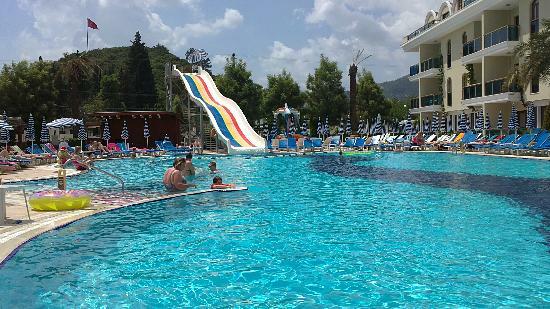 Club Candan Marmaris is located near the city centre, dolmus bus stop and the sea. 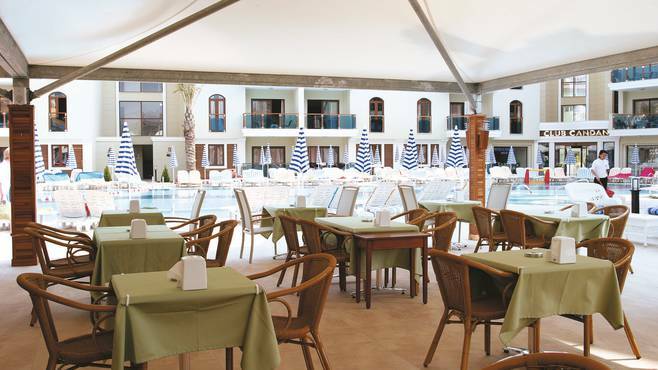 One of the main attractions is certainly the poolside restaurant, which offers a magical Turkish Night every week. If you decide to witness and participate in this festive event, you can expect a delicious barbecue and the customary belly dancing acts done by skilled, charismatic performers. Enjoy a night of partying and gourmet food and watch a unique show rooted deeply in the Turkish culture and tradition. 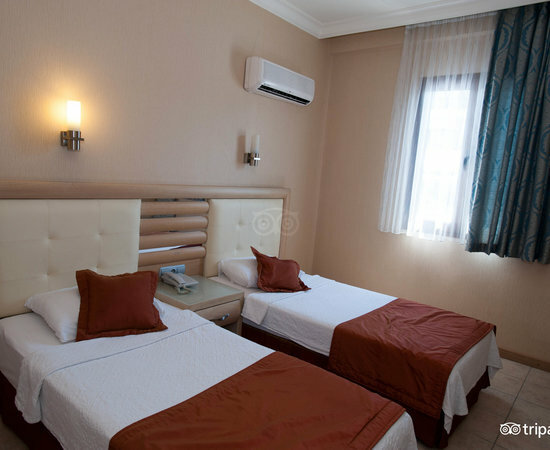 Club Candan Hotel Marmaris also offers free Wi-Fi zones and comfortable and luxurious apartments. Each apartment is equipped with a bathroom, kitchenette with two electric rings, toaster and fridge, satellite TV, phone, hairdryer and daily maid service. Last, but not least every bedroom has its own air-conditioning, which comes in handy during the hot summer nights. Pay a visit to this peaceful, relaxing spot, and make the best use of all the benefits one hotel can offer to its guests. Enjoy your dreamy vacation to the fullest. WiFi is available in the hotel and free of charge.